… and what you should be doing to mark it. Today is 2nd June 2013. Exactly 60 years ago, thousands of people thronged the streets of London. Millions of others gathered around newly purchased television sets or congregated in the streets for parties. The reason: Queen Elizabeth II’s Coronation. Only Queen Victoria has ever seen a 60th Coronation Anniversary. Significantly Queen Victoria still remains one of the most collectable of any monarchs. Today Queen Elizabeth II marks a milestone that has only ever been achieved once before in history and one which you I can be pretty much certain we will never see again in our lifetimes. Today she celebrates the 60th Anniversary of her Coronation. Moments in history like today are a big part of what makes items collectable. A coin issued for the of a passing minor event quickly loses its place in history. For example, I doubt anyone will be harking back to the 50th Anniversary of the WWF – a recent UK coin issue – in a hundred years time. However, I’m pretty certain that people will still reference Queen Elizabeth’s record breaking reign and its key anniversaries. If you need more evidence simply look at Queen Victoria. So great is the interest in collectable items from her reign, it has even coined the phrase Victoriana. So what should you be doing to mark this most significant of milestones? Well it will come as no surprise when I suggest that owning 60th Anniversary of the Coronation Coin is the perfect way to create an heirloom worthy of future generations. But what to own? Well of course, that depends largely on budget but what I have done is pick out 6 pieces that I have personally considered for my Portfolio. 1. The UK Coronation Jubilee Executive Proof Set, which includes the UK Silver Proof £5 Coin. 2. 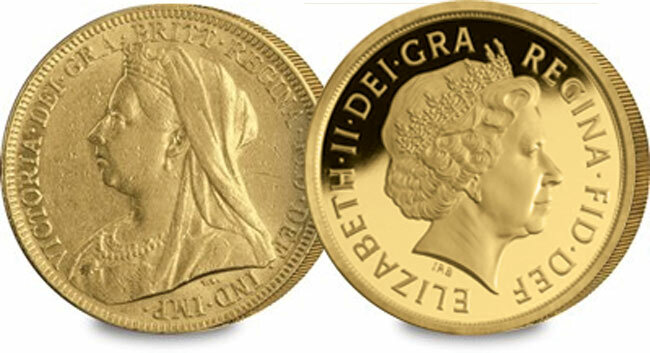 The Coronation Jubilee Year Gold Proof Sovereign – a guaranteed classic with established sell-out history.